Looking for a top-notch sports website template for your golf club? 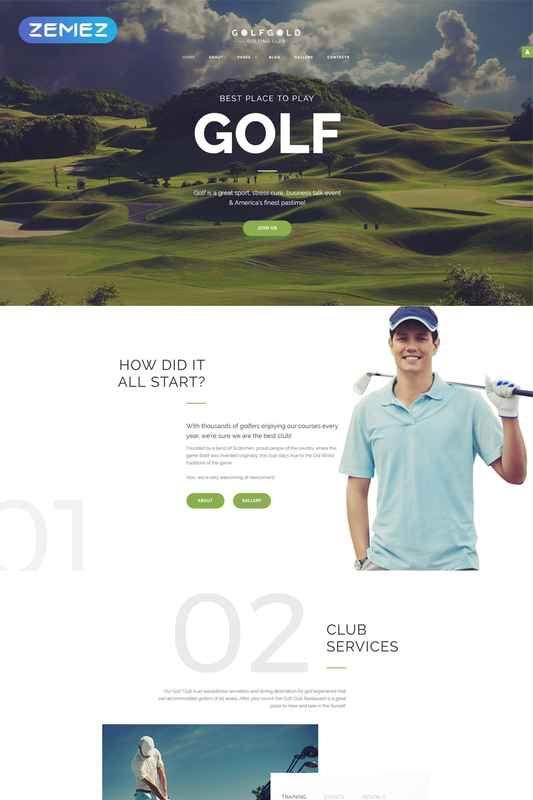 Then you have to check this GolfGold Joomla theme. Developed by a team of experienced developers it has a reliable code that provides you with constant work without issues. Moreover, it has an eye-catchy design and you can edit it without coding skills. GolfGold is a great advertising tool that allows you to present images and videos of golf field and sportsmen in your club via the gallery. And if you want to decorate your website you can use various visual effects and elements. Moreover, you can use a blog to inform clients about new training courses, events or next tournaments.GolfGold also has social options, newsletter and google maps. So download a GolfGold Joomla theme and create the best website for the best game!